My Favorite Cute Flower Lamps for Sale! There is nothing cuter for a girly woman’s home than a cute lamp! Each one more beautiful, girly and colorful than the next! 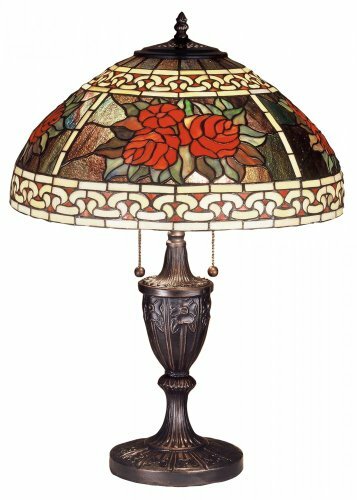 The majority of the flower lamps from this page were made by Tiffany because they are of the highest quality possible! They will look great anywhere in your home, especially in your girly living-room and bedroom! They are full of colors and glow beautifully in the dark! *Aaaaah! The power of beautiful flowers! 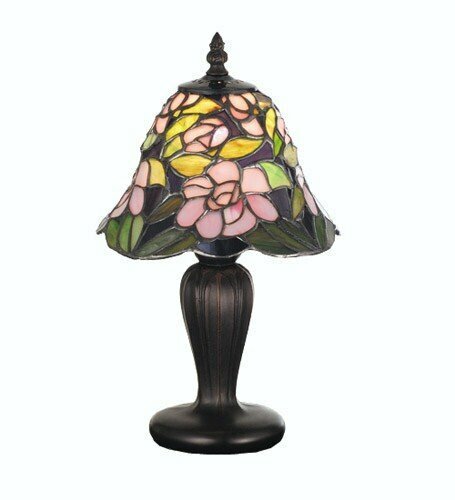 How floral and colorful is this cute Tiffany style floral table lamp in the picture? I am mesmerized by all the beautiful floral table lamps from this page and very happy to share them with you! They also make beautiful gift ideas for any special woman in your life! They will look great in a teen girl’s bedroom too! Surprise someone you love this year with a beautiful flower lamp! Cutest Floral Lamps for Sale! This the ultimate ‘girly’ table lamp from this page! 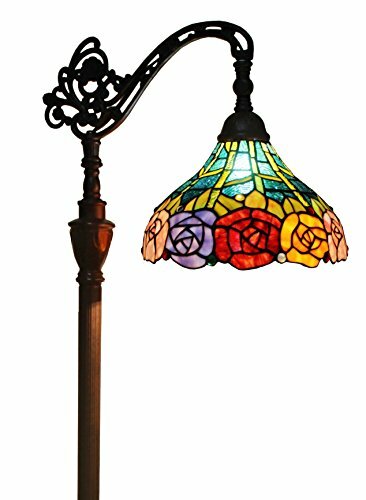 It is a gorgeous roses design floor lamp! This pretty flowers lamp will look lovely in a girly woman’s living-room or bedroom! One of the cutest floral lamps around! 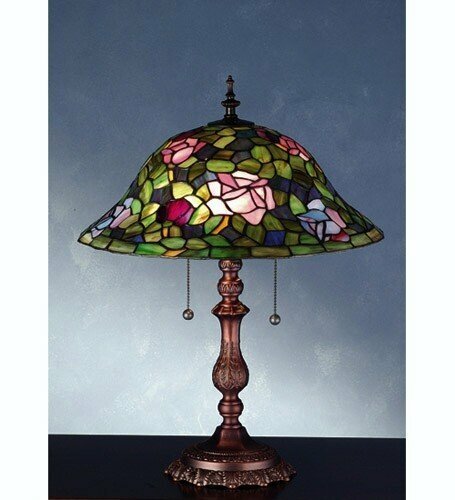 It’s a gorgeous and very colorful glass roses table lamp! Will make an awesome gift idea for your mom, wife or grandma! 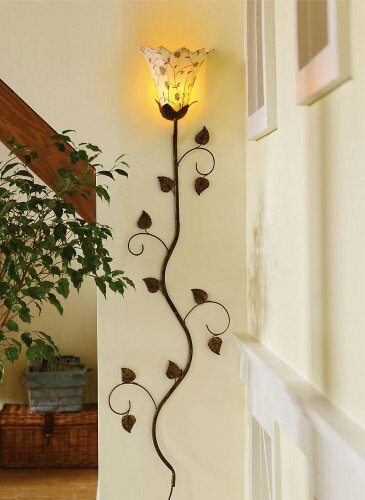 Beautiful Flower Shaped Wall Lamp! A flower-shaped wall lamp for sale! I love the cute metal leaves! Pretty Intertwined Lily Flowers Floor Lamp! Pretty flower shaped lamps look amazing in the living-room! This is a gorgeous and very tall lily flowers floor lamp for sale! It will look beyond gorgeous standing on your living-room next to your arm chair or couch! We can’t talk about cute flower lamps without showing a gorgeous red roses table lamp! 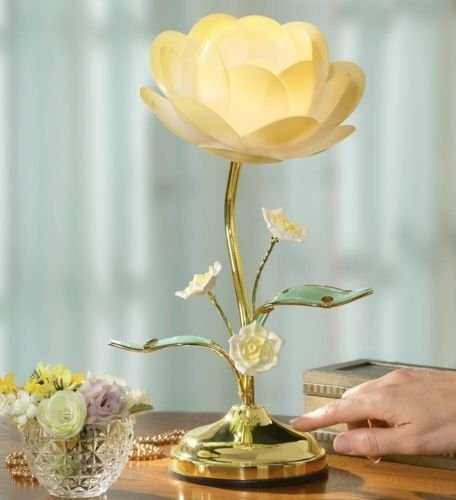 It is a very romantic flower lamp to give someone special! How lovely, sweet and romantic is this cute red roses border table lamp? 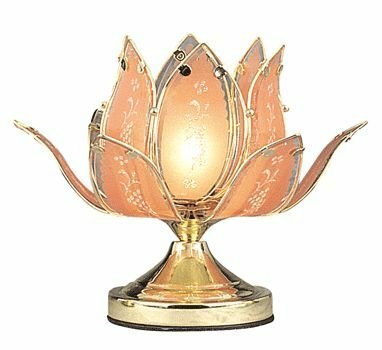 One of the most adorable floral lamps for sale! Will make a very cute gift idea for a girly woman’s home. 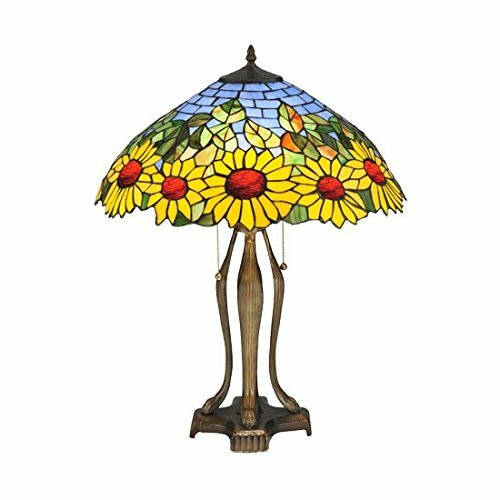 What a Gorgeous Sunflower Table Lamp! 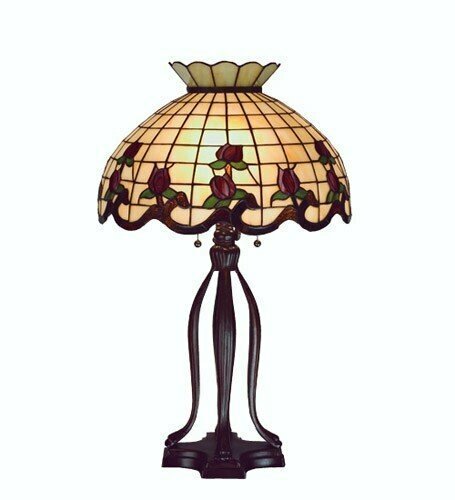 One of the best floral lamps from this page in my opinion! So cheerful and such a happy flower lamp! I bet all your guests will be asking you where you got it! 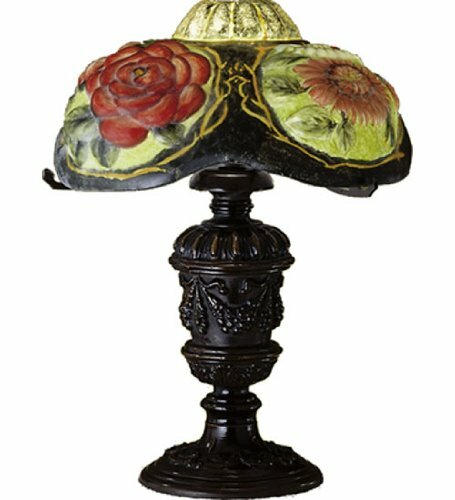 Very Unique Vintage Style Puffy Oxford Floral Table Lamp! This is a very unique floral accent lamp! It has a beautiful ‘vintage’ look to it! Great gift idea for grandma! This is by far one of the cutest, most adorable floral lamps from this page! It’s a cute pink begonia flowers mini lamp! I love the girly shape, the cute pink flowers and the colors! Looks gorgeous anywhere you place it! Great housewarming gift idea too! Another affordable and gorgeous flower shaped touch lamp with three brightness settings! A gorgeous tulip flowers table lamp for sale! 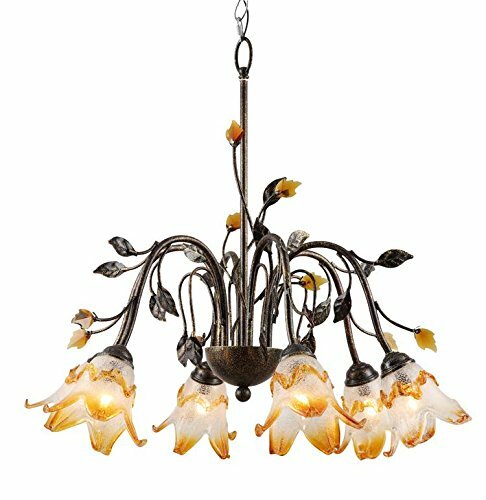 Gorgeous 6-light Floral Ceiling Lamp for Sale! I had to end my selection of cute flower lamps with this gorgeous flower ceiling lamp! 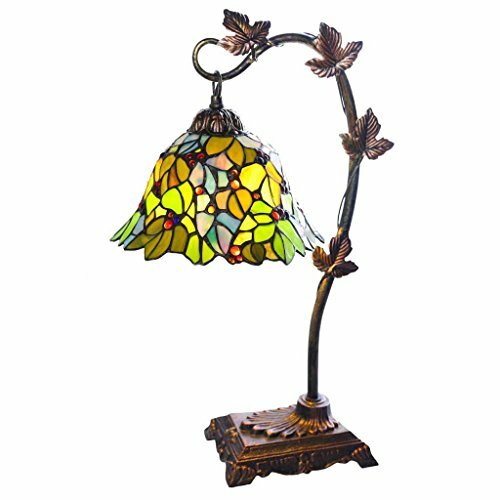 *Have you ever wondered about how to make a beautiful Tiffany lamp? Cute Floral Loveseats and Floral Chairs! The Most Unique Table Lamps for Your Home! Impressive Life Size Floor Lamp Sculptures!